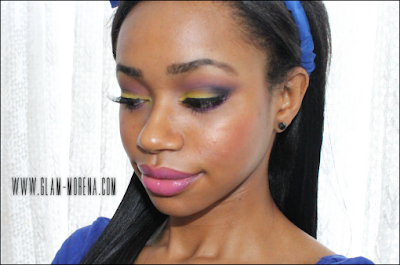 Glam Morena: Tutorial: Summer Sunset. I recently created a look inspired by a Summer sunset. 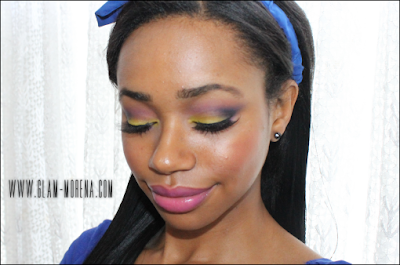 Sunsets just have so many different colors and I used purple, yellow, and blue eyeshadows to create this look. I added a little black in the outer-v to make the look a little bite more dramatic. Love perfect I have to try this look !!! 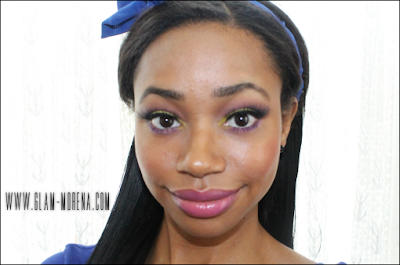 OMG> I love the make-up and the color combi. You're so good at it!